Marmas are conjuction points of consciousness in the body. There most common application is in Ayurvedic massage. They are also very important in Yoga asana and meditation. There are 108 major marmas in the body where Purusha (consciousness) is brought into Prakritti (body) to give life to the living being (both humans and animals have these points). 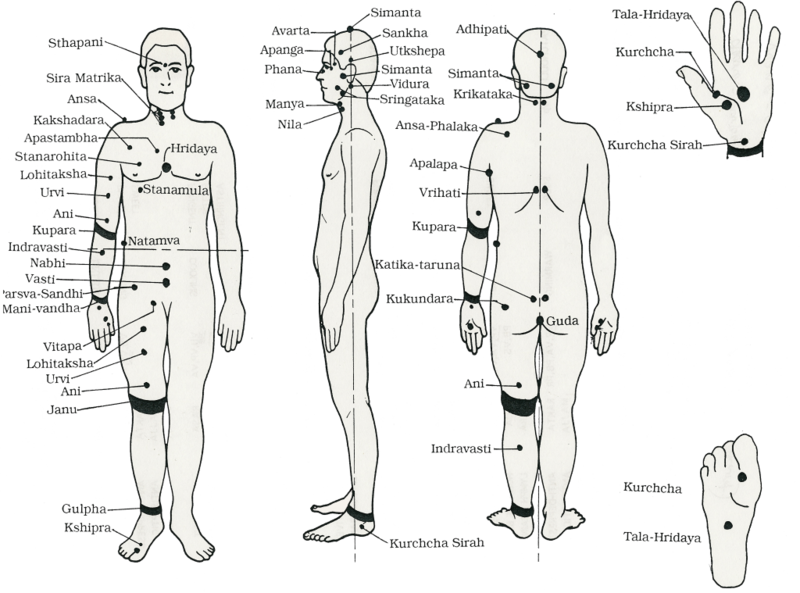 More complex systems of Marmas look almost identical to the Chinese Acupuncture meridians. This information on Marmas is found in a proper translation of Shushrut Samhita. It was used extensively by ancient surgeons who would not cut energy channels when they would operate. This would insure proper healing after the operation.